Traditional design and galvanised construction. 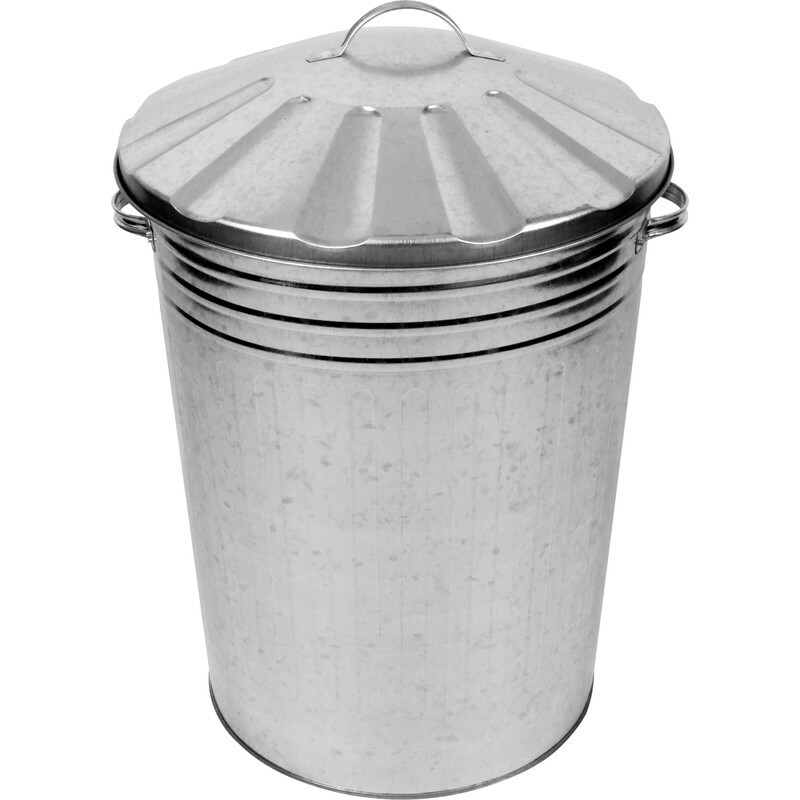 Galvanised Metal Dustbin & Lid 90L is rated 3.9 out of 5 by 21. Rated 4 out of 5 by autolycus from Liked the first one so much we bought another! Bought to store more garden-related stuff in a communal garage. One wasn't enough for our needs, so we purchased a second one. Now installed and we're pleased with them. The second bin was in good order when we collected it. Rated 4 out of 5 by thirdagemike from A decent metal bin at a decent price I recently bought one of these in order to store gardening items in a communal garage. The ordering and collection process was straightforward & the Farnham branch staff were friendly and helpful. The bin was in good condition, with just a couple of small knocks from handling, and with a good-fitting lid, will serve its purpose well. Rated 5 out of 5 by HelenC from Lovely bin Great bin, looks smart and does the job intended. Arrived quickly and in good condition. Rated 5 out of 5 by PRS4 from Good value Reasonable quality at a good price. Rated 1 out of 5 by Biffy from Rusty galvanized bin !!!!! Bought a galvanized bin - "rusty" when it was delivered - thought the Idea of a galvanized bin was for it not to rust !!!!!!! Rated 4 out of 5 by Elleee from Ok The price was reasonable however it arrived a little bit damaged but for what I need it for - it was fine. The only annoying thing was, is that the bins were wrapped in really thick sticky tape and it was a nightmare to get it off!